bareMinerals® unleashes ridiculously glowy skin this January with the launch of their new SKINSORIALS™ Skincare line and hero product SkinLongevity™ Vital Power Infusion—a first of its kind lightweight serum essence designed to reawaken and help maintain skin’s most vibrant look of health. As the leading foundation brand in the US, bareMinerals continually challenges convention by dedicating themselves to creating healthier makeup alternatives to help transform the appearance of women’s skin. Now, they’re expanding their complexion obsession with a skincare line that challenges the traditional approach to aging, and reflects bareMinerals’ beauty philosophy: that HEALTHY skin is beautiful skin. Committed to its problem-solving roots, bareMinerals conducted a global skincare survey and discovered that 72% of women feel that despite using skincare products, their skin is not healthy, and 91% of women wish their skincare products provided long-term results. 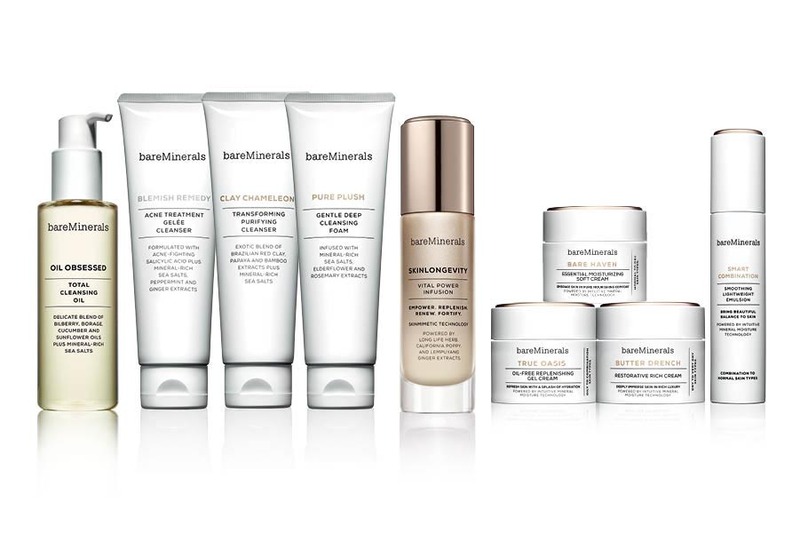 These findings—innately tied to the brand’s belief of delivering healthier alternatives—are the cornerstone of new bareMinerals SKINSORIALS skincare, a line based on the fundamental concepts of healthy looking skin and longevity. Traditionally, skincare products have been designed to address only certain concerns or specific areas of the skin. “If you think about it, to keep your body healthy you don’t start by taking antibiotics do you?” elaborates Sandy Saputo, Chief Marketing Officer. “You eat right, exercise and take preventative measures. Shouldn’t you do the same with your skin? For us it’s about shifting the conversation from ‘anti-aging’ to a more positive message about longevity and healthy-looking skin,” says Saputo. To tackle the lofty premise of longevity, bareMinerals turned to a location where women thrive and live longer than most any other place in the world. ** Okinawa—known as “the island of long life”—is where a plant was discovered growing in the mineral- and vitamin-rich coastal soil that local residents boast as an essential part of their health and enduring wellness: Long Life Herb. This resilient herb grows in the island’s harsh climate, showing its tenacious ability to thrive. 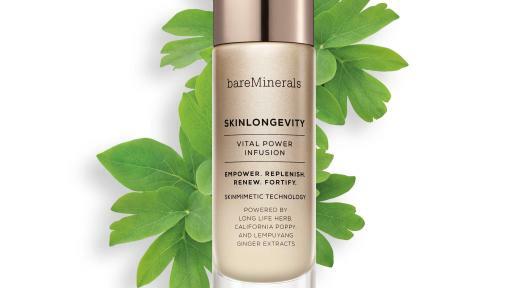 A time-tested and symbolic ingredient, Long Life Herb Extract is the secret behind bareMinerals’ new hero product, SkinLongevity Vital Power Infusion. 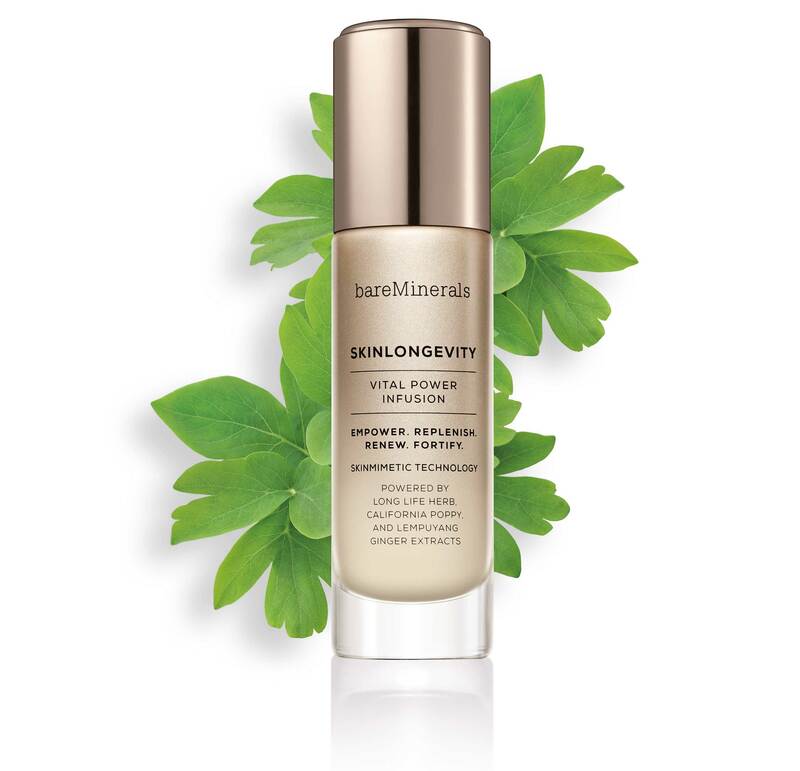 For the first time ever in skincare, bareMinerals has procured the benefits*** of their Long Life Herb Extract to empower skin and help enhance a healthy-looking radiance. Long Life Herb, also known as Chomeiso in Japanese, is a super superfood shown to have a higher vitamin and mineral content than spinach and kale. In addition to being loaded with antioxidants, the plant has high amounts of calcium, magnesium and potassium and is incredibly high in polyphenols. 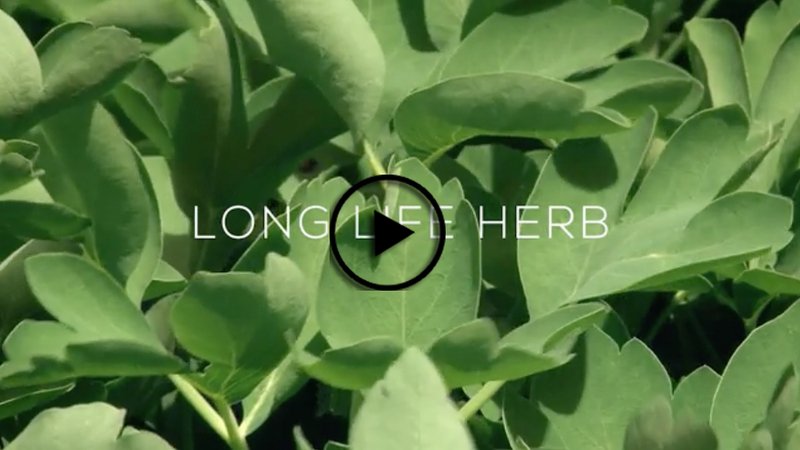 Legend has it that eating just one bunch of Long Life Herb will extend life by one day. This dynamic, first of its kind infusion* is designed to revive and help maintain skin's most vibrant look of health, and reduce the appearance of fine lines and wrinkles. With the patented benefits*** of Long Life Herb Extract at its core, this hybrid lightweight serum essence helps to promote skin's vitality, replenishing it with moisture and reawakening the look of youth. To help deliver on the promise of inspiring younger, healthier-looking skin, several key ingredients were hand selected for their skin-loving properties. In addition to Long Life Herb Extract, they’ve combined California Poppy and Lempuyang Ginger Extracts to create SkinMimetic™ Technology. This leading-edge complex helps to protect skin against visible signs of aging and damage—and is what fuels SkinLongevity Vital Power Infusion to unleash a radiantly youthful appearance. Created for all skin-types, SkinLongevity Vital Power Infusion is clinically proven to improve the overall appearance of skin†. Designed as the new “vital step” to your skincare routine, just 2 pumps after cleansing morning and night leaves skin feeling empowered, renewed and fortified like never before. 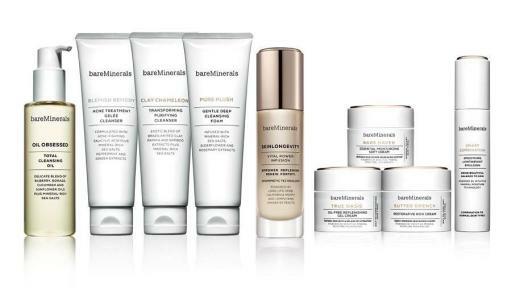 bareMinerals believes healthy looking skin begins with a 3-part beauty ritual—Purify, Empower, Moisturize—and their nine piece collection is designed to fulfill what skin craves with effective ingredients, unparalleled textures and naturally derived scents. PURIFY: Loaded with mineral-rich sea salts, the brand developed four decadent cleansers to transform an everyday activity into an elevated sensorial experience. EMPOWER: The new vital step that has been missing from traditional beauty rituals. With legendary Long Life Herb Extract at its core, this lightweight serum essence is designed to revive and help maintain your skin’s most vibrant look of health—and empower skin to look healthier and younger, longer. MOISTURIZE: Powered by Intuitive Mineral Moisture™ Technology to help enhance skin‘s Natural Moisturizing Factor, these luxuriously textured moisturizers uniquely respond to women’s skin type and hydration needs. The US SKINSORIALS skincare launch will be supported by 360 degree TV, print, digital, and social marketing efforts. bareMinerals will air both 15-second and 30-second TV spots from January through March to coincide with the timing of the print and digital campaign. Global advertising and marketing initiatives outside the US will commence in July 2016 to coincide with the launch of SKINSORIALS in key global markets throughout Europe and Asia. bareMinerals utilizes a distinctive marketing strategy and multi-channel distribution model to develop, market and sell cosmetics and skincare in 34 countries, with over 6,500 points of distribution, including more than 200 company-owned boutiques. For more information please visit www.bareMinerals.com. *The emulsification technology within the serum essence is patented in the United States (#US8765821), China (#ZL200980108443.X) and Hong Kong (#HK1155076). ***The skincare benefits of Long Life Herb Extract are patented in China (#ZL200980112140.5), Hong Kong (#HK1150027), and Russia (#RU2537243).